You have to say goodbye to your worn out blue jeans. That trusty, old pair just bit the dust. Despite all of the good times you had together, it's time to put your old men's jeans to rest - that way you can start wearing these Ariat Men's 10014450 Shale Flame-Resis ... (see full details) (see specifications) #ARW10014450. You have to say goodbye to your worn out blue jeans. That trusty, old pair just bit the dust. Despite all of the good times you had together, it's time to put your old men's jeans to rest - that way you can start wearing these Ariat Men's 10014450 Shale Flame-Resistant M3 Loose Fit Jeans. They have the flame-resistance you've been missing, and the comfort your old men's workwear just didn't provide. These Ariat jeans will give you protection in extreme environments. If you're working around open flames and high heat, these are for you. The Ariat flame-resistant denim is rated at a Hazard Risk Category (HRC) 2, and they're compliant with the NFPA 2112 standard for safety around potential flash fires. In addition to those, the flame-resistant jeans also meet the NFPA 70E standard, which will guard you around electrical arc flashes, and the Ariat workwear has an Arc Thermal Performance Value (ATPV) of 20 cal/cm^2. The higher this number is, the more protection you'll have. The rugged M3 design delivers you with loose-fitting, athletic jeans that'll give you plenty of room to move. A comfortable lower rise and extra relaxed fit throughout the waist and hips ensure that you remain at ease all day. The straight leg style look great everywhere, and the no-rub comfort inseams make sure walking is natural - both unrestricted and comfortable. The premium, ring-spun denim is comfortably soft, and it's durable, too. The Shale jeans are built to last in extreme conditions, and the 13-ounce denim in a dark wash is here to give you the best coverage possible. Out with the old, in with the new. Order yourself a pair of these Ariat Men's 10014450 Flame-Resistant M3 Shale Loose Fit FR Jeans today. They're available right here at Working Person's Store, so get ready for some more good times in your new pair of blue jeans. The concept is great and the quality of arbor wear is second to none and can't be beat. The fire resistant protection is very good and I have seen it saves flesh a few times. I however am not a fan of the loose fit design and I think that they are to baggy and saggy for factory wear and don't look to professional. I am not a huge fan of loose fitting jeans but I thought I would owe it to Ariat and try these out and I am on the fence. They are comfortable when it comes to movement restrictions like bending and squatting and I have even worn long johns under them but I am not a fan of the sloppy look they present. I'm very pleased/impressed with how fast this order was processed. My son really needs these uniforms for his Diesel Mechanics class; the sizes were not available at any of the stores we visited. I'm not sure why they don't carry small men's shirts, or 33 W paints, oh well, I'm just glad that I could order them through you. 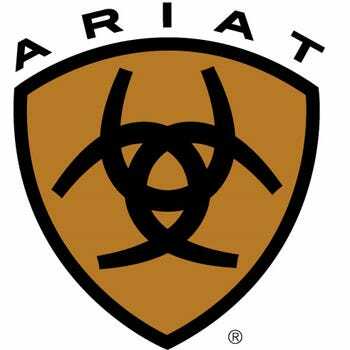 Ariat Jeans: Men's 10014450 Flame-Resistant M3 Shale Loose Fit Work Jeans is being added to your cart.